Avocado toast has had a lot of press here lately, but it’s actually a Californian invention. That said, just like wine and surfing, Australia does avocado toast just as well as the Californians, and maybe even better. The same is true when it comes to building great tech start-ups. That’s why, after seven years in San Francisco, I moved back home to start my company: Different (www.different.com.au). The combination of a huge market and savvy market, available venture capital, and the world’s most generous government incentives make Australia the best place in the world to launch a start-up today. Entrepreneurship is risky but done sensibly it’s a lot safer than being cross-collateralised across five investment properties, on a moderate income, and praying that interest rates don’t go up and wipe you out. It’s not for everyone, but every third Australian says they want to start a business. More of them should invest in themselves, rather than in another one-bedroom in Penrith. There are huge, VC-worthy markets right here in Australia. Our absolute GDP is 80 per cent of India’s and on a per capita basis we are the second wealthiest nation in the world, after Switzerland. Across the economy, in every major industry, there’s room for dozens of billion-dollar companies. I hear people say we’re all mining, but that’s just 10 per cent of GDP. While our friends in south-east Asia squabble over the South China Sea, Australia’s oceanic exclusive economic zone is larger than Australia itself. And customers are willing to take a punt on new services. Uber launched in Australia three years after it launched in the US and its percentage penetration is higher here than it is Stateside. Ruwin Perera is the co-founder of : Different. Also, what works here tends to work elsewhere. Citi tests banking products here; Coke tests packaging; KFC even tests healthy quinoa salad options. Australia is an ideal taste tester for the Western world, which makes us the ideal place to launch a global company. Smart investors are receptive to this. About 30 per cent of our seed investment round came from Silicon Valley investors, including valley icon VCs such as Foundation Capital. But even though it’s available, Australians don’t need to depend on Silicon Valley funding. Until recently, many local entrepreneurs raised capital on the public markets via a reverse takeover, even at a pre-product stage. This is insane. Infant companies have zero reason to subject themselves to the administrative burdens of being public unless they have no other choice. Previously, Australian VC funding may have been more limited. In 2015, Australian total VC was around $300 million. India, with a similar GDP, did 12 times that in the third quarter of that year. This has changed, with world-class investors raising large funds here in Australia. AirTree (who led our seed round) is a great example, having raised $250 million just last year to back Australian entrepreneurs. Blackbird and Square Peg have raised similarly sized funds. So there’s plenty of bread to make toast with. The government is incredibly helpful, too. Thanks to the R&D tax credit, companies can claim 43.5 per cent of eligible R&D spending back from tax, and if they don’t make profits they still get a cheque for the refund. This means start-ups can hire here, pay a great engineer $130K, but cut the cost of an eligible engineer almost in half. We can also offer an opportunity for equity upside. That opportunity is rare today in Australia and helps us hire those with a fire in their belly. We’re getting ready to hire a great chief technology officer in Sydney. But talent is about more than employees. Angel investment is critical to most start-ups, and good angels provide much more than a mere cheque. They are often successful entrepreneurs in their particular field, and their advice and networks can mean the difference between success and failure. The angel scene in Australia, while small today, is now well supported, thanks to some of the world’s best government incentives. Those who invest in eligible start-ups can reduce this year’s tax bill by 20 per cent of the value of their investment (with limits, so people can’t bite off more than they can chew). Better still, these investors don’t need to worry about the government taking a big slice, as the gains are free of CGT. As you can see, our raw ingredients are great. Add research grants, state and local government grants, government-funded start-up hubs, and our stable regulatory framework, and you have a recipe for success. There is no better time and place in the world to build a tech start-up than right now and right here. All we need now is more cooks in the kitchen. 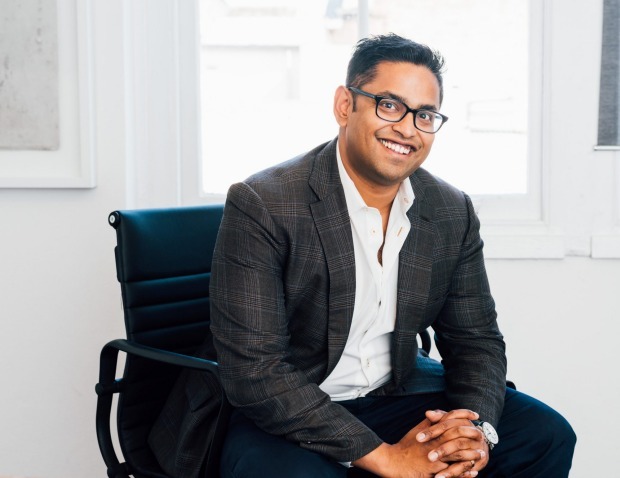 Ruwin Perera is the co-founder of : Different. He was a Director at Softbank, a principal on Google’s Global Business Strategy team, and a consultant at BCG.